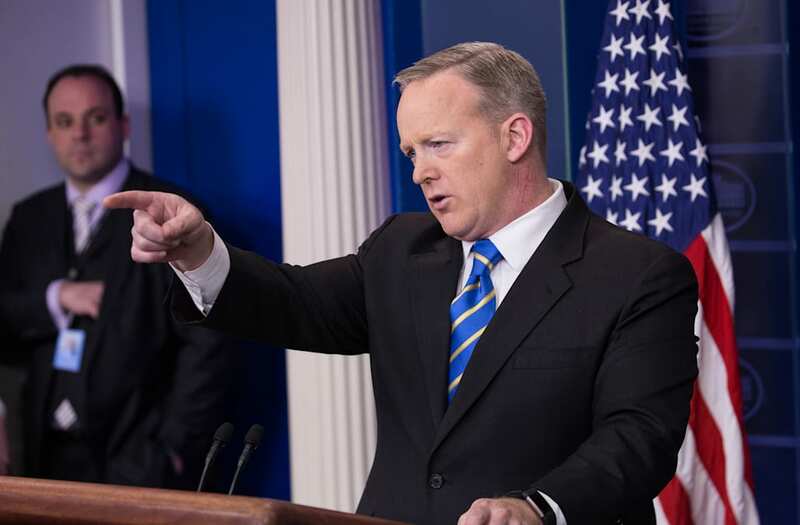 On the heels of the controversy surrounding new press secretary Sean Spicer, the history and role of the oft-beleaguered position is being examined. John G. Nicolay was a newspaper editor out of Illinois and would often interact with the press. It wasn't until president Woodrow Wilson's presidency in 1913 that the daily press briefing began, put together by his private secretary John Tumulty. Sometime between 1929 and 1932 the first press secretary was born. Some say it was Herbert Hoover's man George Akerson who was the first to be assigned to speak to the press on the president's behalf. Others say it wasn't until 1932 when Franklin D. Roosevelt actually gave the title of press secretary to former journalist Stephen Early. The job has evolved over the years and is now widely seen as the person whose job it is to act as spokesperson for the president and his administration, holds daily briefings and answers questions. He or she is appointed by the President and doesn't have to be approved by congress. The daily televised press briefings that we know today, were pioneered by President Clinton's press secretary Mike Mccurry. On the White House historical association's website, Mccurry says he viewed the press secretary job's this way "I believe the press secretaryneeds to work for both the press and the president" by being " an advocate for the press and the public's right to know inside the white house." He went on to say "the modern Presidency cannot work effectively, if it is constantly at war with the media".